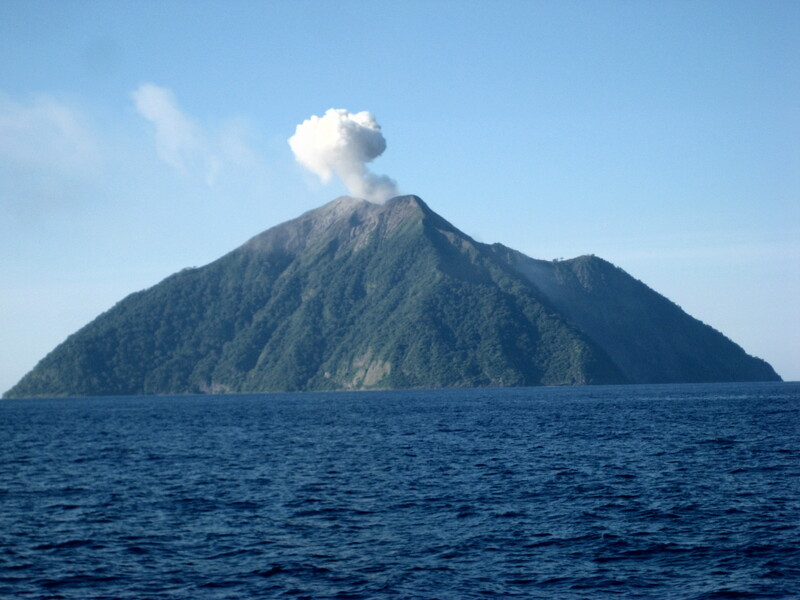 The remote Komba island consists of an active volcano, Batu Tara, whose first known eruption was in 1852. 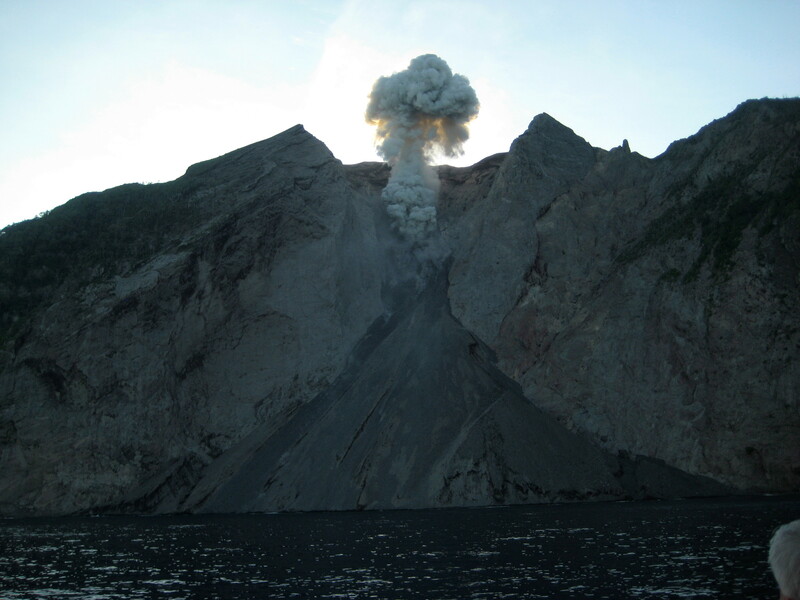 In November 2010, I sailed on a Bugis prahu (schooner) in the eastern islands of Indonesia and was fortunate to be able to “sit off” Pulau Komba (aka Gunung Batu Tara) and watch its eruptions which occurred every 5-10 minutes. 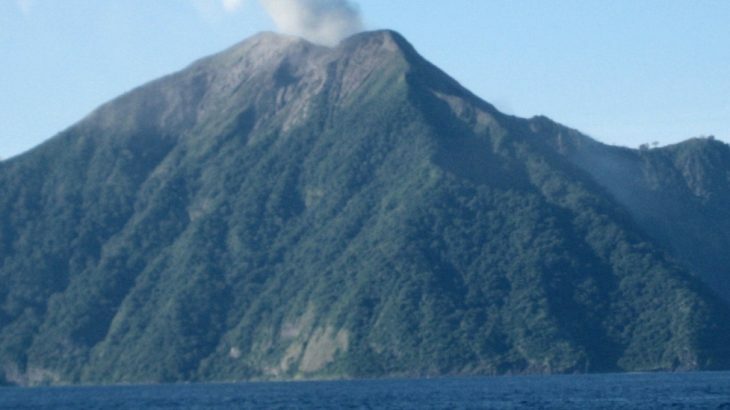 Pulau Komba is an oceanic, volcanic mountain rising from the seabed below. There are no other surrounding islands. It lies about three hours sailing time off the north coast of the Pulau Lomblen in Nusa Tenggara Timor in the Java/Sunda sea. 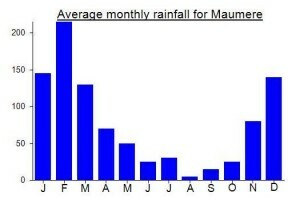 The Captain’s charts show the height of the peak as 1,748 m ASL. (I do not know when this reading was taken and, moreover, the height could have changed in recent years with its frequent eruptions.) These charts also show that the surrounding sea floor is about 2,500 m below sea level. Hence, Pulau Komba has an altitude of some 4,200 m from its base making it one of the highest oceanic volcanoes in Indonesian waters. The Captain’s charts, dated 1999, give the name of this island as Pulau Komba. While the marine/navigational details on these charts may be current, it seems that names of land masses are still from colonial Dutch times. On more recent topographic maps, Pulau Komba is known as Gunung Batu Tara. The Captain has passed Pulau Komba several times in recent years and informed that it has been erupting for quite some years. 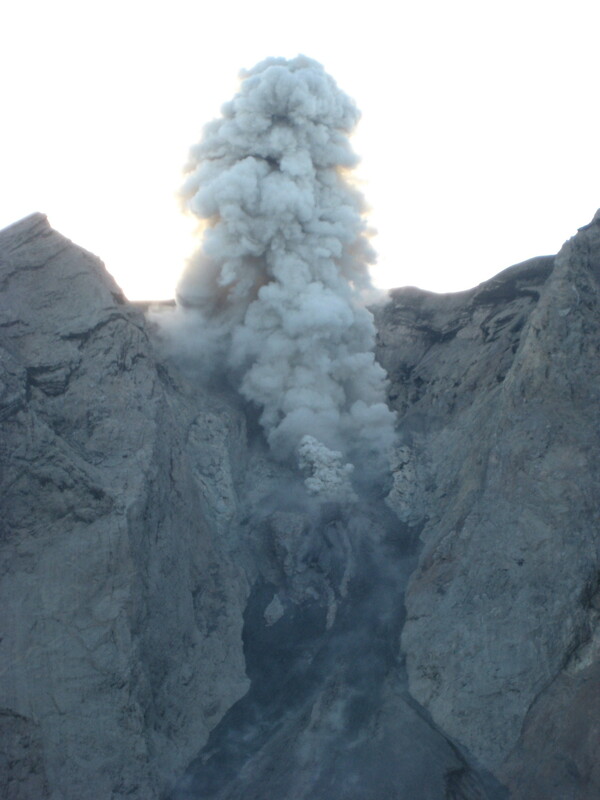 During our visit, it erupted every 5-10 minutes with enormous plumes of smoke. At sunset, we were sitting about half-a-kilometre off the island, directly in front of crater and its lava flow into the sea. As the sun fell, we could see the fiery eruptions and lava cascades into the sea. The thunderous noise of each eruption, which reached us some seconds after seeing each eruption, was enormous. It would be difficult to reach this island unless travelling on a charter boat, as we did. 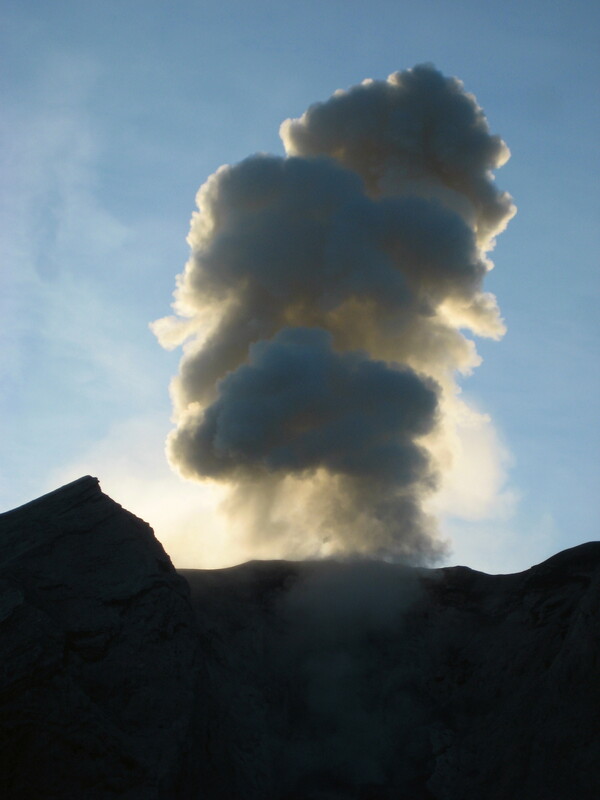 Moreover, it would be inadvisable to try to climb its peak in view of its persistent, frequent and intense eruptions. Bagging information by Nick Hughes. Nusa Tenggara Timur Spesial. permalink.